Wearing contact lenses can be a liberating thing for many children. They can be great for kids who play sports or have low self-esteem. But, is it safe to allow children to wear contacts and at what age is best to start? Learn the best practices to begin using contacts with your children. Factors like improved sizing and materials allow more children to wear contacts. In fact, even infants can wear specially designed contact lenses. Of course lenses need to be fitted for the child; however, the most important factor is the child’s level of maturity. 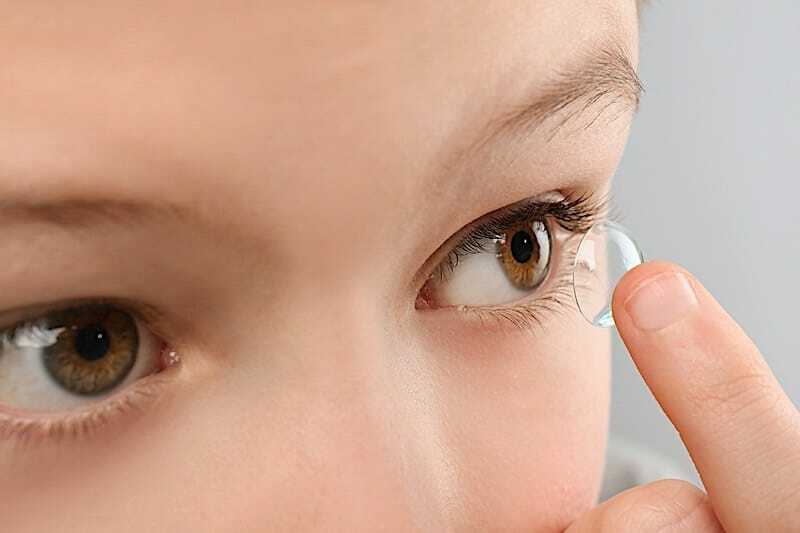 Most eye doctors feel it is appropriate to introduce children to soft contact lenses between the ages of 10 and 12 years old. Caring for contacts is a lot of work. Your children will need to handle inserting and removing the lenses, as well as be able to clean them properly. It’s also essential that your children do not wear them to bed unless the contacts are extended-wear lenses. Wearing contacts too long can cause eye pain, infection, and impaired vision, among other things. For less stress, consider disposable contacts for your children because there’s less to maintain. There are a variety of reasons you may consider contacts for your children. Many parents consider contacts for kids who play sports. Often, parents find that glasses interfere with sports and that contacts are more conducive to physical activity. Some opt for contacts to improve their children’s self-esteem. Whatever your reason, make sure you weigh the pros and cons with your optometrist, as well as assess your child’s level of maturity. Want to speak with an optometrist to see if contacts are right for your child? Book an appointment with your Valley Eyecare Center eye doctor today. Call us at 602-955-2700 or schedule your next session online.